It has become a depressingly familiar scenario for flat-hunters in any one of Britain’s rapidly developing cities. A new crane appears on the horizon heralding the advent of a brand new apartment block, along with hoardings featuring an artist’s impression of good-looking, aspirational young people enjoying the finished development. “Ooh, I’d like to live there,” thinks aspirational young person, and goes online to find out how much it would cost to buy a unit. They immediately hit an insurmountable problem. The flats are not for sale to ordinary people like them, who actually want to live in them. Oh no. They are for investors only. 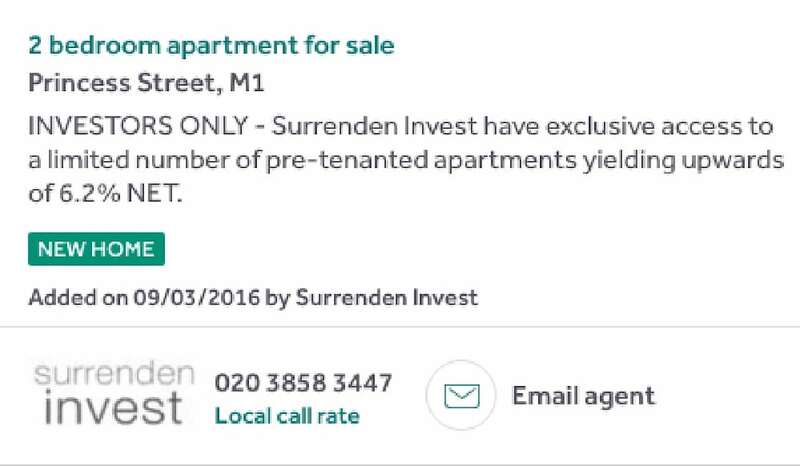 By the time the flats are actually habitable they will have long been sold off, often wholesale, to foreign buyers. Sometimes the blurb doesn’t specifically tell the ordinary buyer to bog off, but it might as well once you squint at the small print. That snazzy two-bed riverside des res you had your eye on? You’ll have to put down a 50% deposit for that, young lady. It is a particular problem in Manchester, where property prices rose by 8.9% in 2016 – the second fastest rate in Britain. Tipped by industry experts as “the UK’s top-performing investment location” after the London market overheated, glossy brochures promise minimum yields of 6% and a 54% return on investment after just five years. One day last week the Guardian analysed every single new-build flat in Manchester city centre priced at under £250,000 on Right Move. Of the 91 available, 52 were advertised explicitly at investors only, or required a deposit of between 50% and 80% long before completion. Most others required at least a 20% deposit: a big ask in a city with an average salary of around £25,000. 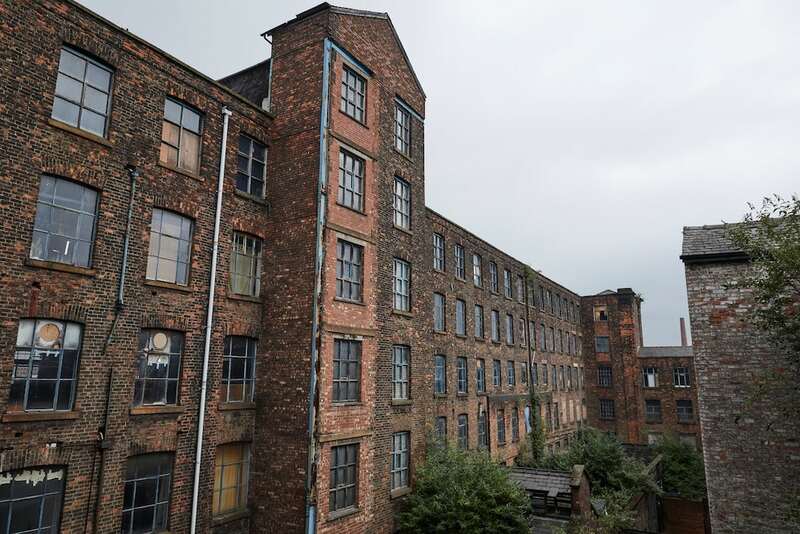 One of the exceptions was a one-bed flat in the Crusader Mill, an old textile factory tucked away behind Piccadilly station, near Manchester’s red light district. “GET FIRST DIBS ON A PIECE OF MANCHESTER HISTORY*” yelled the listing, the asterisk pointing to a note reading: “*No investors allowed.” One-beds start at £165,000, with a £500 reservation fee and comparatively piddling 5% deposit. The first 20 flats in the mill go on the market at an open day on Saturday. Four-hundred people have put their names down to express an interest in buying off-plan, according to the developers, Capital & Centric. This Saturday, their staff will be meeting prospective buyers and carrying out informal interviews to check that they are serious not just about buying a flat but also living in it. The scheme has been dubbed “Manchester homes for Manchester people”, but it’s rather less parochial than that League of Gentlemen-esque catchphrase would suggest. 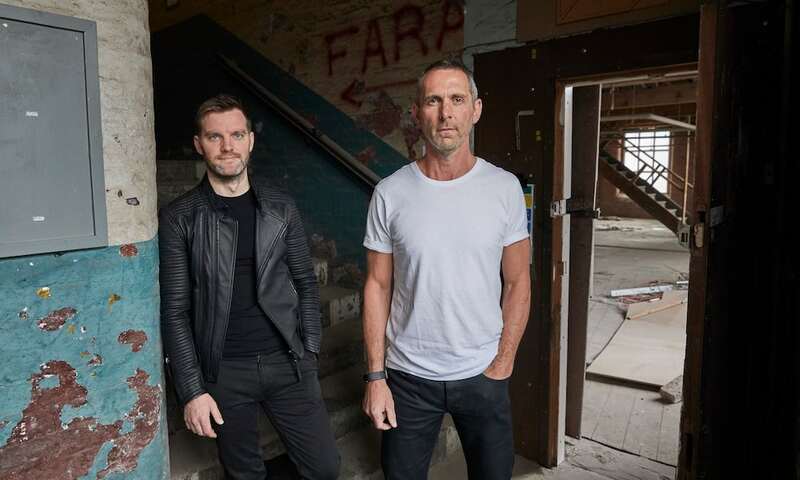 There will be no test to weed out those with no appreciation of Oasis or the Happy Mondays, and they won’t be tricking southerners by asking their opinion on chips and gravy. “It’s not aimed to prevent someone who’s moving to Manchester. It’s just aimed at people who want to live here,” said Adam Higgins, who runs Capital & Centric with his business partner Tim Heatley. Unsurprisingly, the pair insist it’s more than just a marketing gimmick and want to sell all 126 flats to owner occupiers, not just the first 20. “Unless we open the doors and no one wants to buy one. Then we will have go to down the investor route,” said Heatley. It hasn’t made them terribly popular with estate agents, who take a percentage of a sale price. “One estate agent we spoke to was quite pissed off when he found out we were going to disrupt their business model, which is selling things abroad, wholesale,” said Higgins. Some local developers, such as Knight Knox, have a business model based largely on selling apartment blocks to buy-to-let investors overseas. The firm is currently developing huge swathes of Salford, particularly by the river Irwell, and most blocks are already completely sold out at least a year before any tenants will move in. What many first-time buyers may find particularly enraging is that their taxes have helped to fund some of the developments they feel shut out of buying. Take the Wilburn Street Basin development in Salford, which received a £42.5m loan from the Greater Manchester Housing Fund. In the early stages of the project it was marketed very heavily at overseas investors, though owner-occupiers are now generally asked for just a 10% deposit, according to a spokesman for Renaker, the developers. He estimated roughly half of the finished flats will be lived in by the buyers. The new mayor for Greater Manchester, Andy Burnham, wants to change the way the housing fund works. “I think it has favoured a building model of build-to-rent, rather than building truly affordable housing and more not-for-profit development,” he said. Manchester City Council accepts that there is some frustration among Mancunians trying to get on the property ladder. 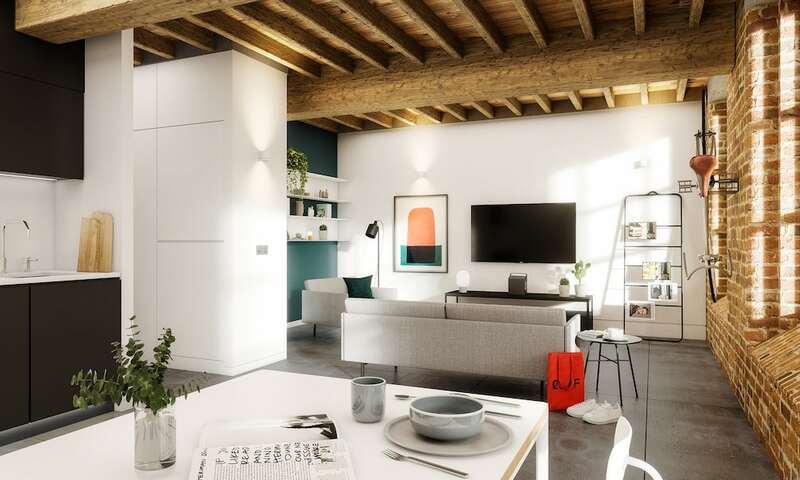 “We do recognise that there are challenges around the number and proportion of new build apartments which are available to owner-occupiers although the reason for this is investors buying to rent, not to leave,” said Bernard Priest, the deputy council leader. The number of empty properties in the city at any one time is less than 4% and the number which have been empty for more than six months is less than 1%, he added. The council can’t making any planning stipulation about the tenure mix of new developments but where it has a controlling interest, such as land ownership, it can stipulate that properties must be for owner-occupation only. The Greater Manchester Pension Fund is currently partnered with Matrix Homes building more than 240 desirable new homes for outright sale and private rent. He just wishes there was more available for the ordinary buyer, and will be at the front of the queue at Crusader Mill on Saturday, fighting 500 others for the privilage of a flat that won’t be finished for two years.